Teen and youth shelters provide young people with a place to meet, chat and relax under cover. Whatever your budget, Canopies by Acer provide a great range of products to encourage positive communications and community relations. Available in a range of styles, sizes and colours the shelters are manufactured to be vandal resistant and are built to withstand the elements and constant use. 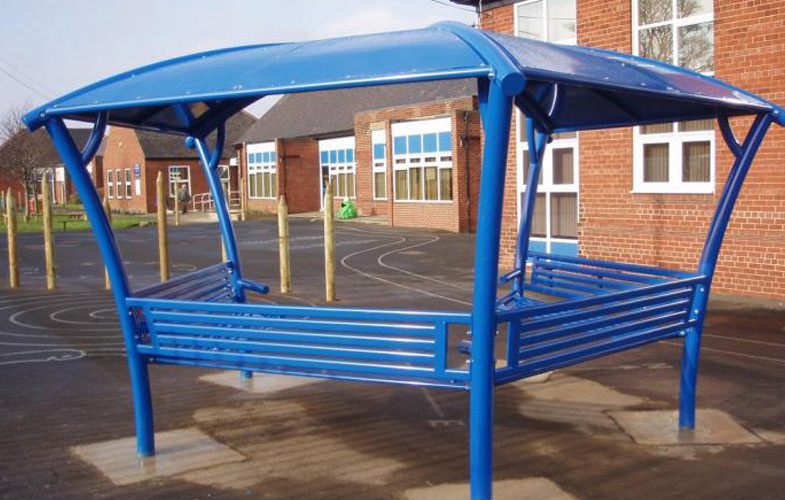 Canopies by Acer have over 12 years experience of working with schools and nurseries and all our team has been CRB checked. With many installations completed, our team are also well-versed in creating shelters that are genuine community projects and can advise you on the best ways to consult with your prospective shelter users to involve them in the design and build.